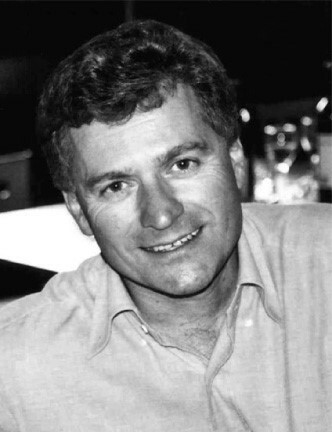 On 5 October, 1987 when Michael Erceg set up Calypso Beverage Company Limited, he started a juggernaut that would turn the New Zealand alcohol market on its head. Initially, the new East Tamaki, Auckland, based company had little impact on the industry’s duopoly. But this upstart would become an irritant, then a threat. Michael’s philosophy was simple – fill a gap with innovative products and get the sales. His first products were to be three-litre bag-in-box fruit juice and fruit wine coolers. The filling line produced four casks – orange juice, tropical fruit drink (Calypso), peach, and tropical wine coolers. According to his business plan of September 1987, “sales will be obtained from two sales people and M Erceg”. He was to put in $200,000, with the rest of the $510,000 start-up capital to be borrowed. First-year revenue from 180 pallets was predicted to be $225,000. That he was prepared to set up in a highly regulated industry during a recession was a strong hint that here was someone to watch. Michael Erceg understood the market, had the courage to innovate, and knew that developing new products quickly, and speed to market, was key. By 1989, and seeing the imminent opportunities in a deregulated market, he was taking on the big brewers, albeit at the bottom end. He had four brands of beer – Panther, Bighorn, Ranfurly and NZ Lager, along with spirit-based products that were to set the scene for his core business. With clarity of vision, he nurtured the synergy between the strugglers of the industry – Independent Liquor and the small independent retailers. He valued his customers and showed it. He gave them the room and margins to compete and supported them when they faced difficult times. And all reaped the benefits of those strong relationships when Michael introduced RTDs (ready to drink beverages). The newcomer was ridiculed, but the establishment underestimated how tough and resilient Michael could be. He didn’t tolerate obstacles; he went through them or around them. Independent Liquor was all of a sudden making an impact, a nimble and responsive industry player to keep an eye on. Michael Erceg, who had completed his PhD in mathematics at the University of California, was set on an academic career with a position as a junior professor his for the taking. However, fate intervened and he decided to return home to help with his ailing father’s West Auckland-based family wine business. With that decision, he set in motion the genesis of one of New Zealand’s most dynamic and successful alcoholic multi-beverage companies. Often painted as an example of the Kiwi ‘no 8 wire’ battler, Michael Erceg was a gifted mathematician and creative innovator who loved the challenge of solving complex problems. So it isn’t surprising that, after a family disagreement over the direction of the wine company, he decided to go into business for himself to form Calypso Beverage Company Ltd. It was 1987 – the year of the stock market crash – which just added to the challenge to see if it could be done and how big it could get. Going against accepted thinking was the norm for Michael. This became a hallmark for the company and one of the reasons for its success. Where the big brewers were cautious, taking months to develop new product, Independent Liquor had an idea and took it to market in six weeks - and still does. Where the competition didn’t entertain failure, Independent accepted failure, pulled the product and moved on – and still does. Where the opposition had layers of management to go through before decisions were made, Independent empowered its people to make decisions – and still does. Quiet, operating below the radar and thumbing his nose at the establishment, Michael was tough with staff, customers and suppliers – he was a hard man. He rejected the norms and refused to allow obstacles to get in the way of a good idea. Equally, he was generous and loyal. When staff or customers were in difficulty, he helped them out. In return, he won loyalty, trust and respect. At times labelled ‘cowboys’, Independent’s people were in fact a long way ahead of the game – they applied retail marketing tactics to incentivise their customers, helping them with increased margins the big companies wouldn’t provide. It worked. But those were hard yards, with the big brewers constantly challenging their every move. When Independent put out a range of light spirits – Gin 62, Vodka 56 and Rum 62 – it flew out the doors. It was also challenged in the courts (for having a lower level of alcohol by volume and therefore not qualifying as gin, vodka or rum). So, the range was rebranded – Carthews 62, Kristov 62 and Bahama 62. And it kept selling; an example of Independent’s continued tenacity. Loyalty to the customer was and is important. One story told repeatedly is when the bank called in a loan. Michael, always thinking laterally, went to 20 of his major customers and asked them to pay their accounts early. They did. The loan was paid before time (and Michael changed banks). This type of story has become part of Independent’s folk-lore and eloquently describes the loyalty that still prevails. Independent’s ability to expand and grow, both on site and with its product range and customer base, hasn’t been by chance. Michael Erceg had an eye for the future and operated on the basis that expansion was inevitable. Even in the early days at East Tamaki, he bought neighbouring properties with the future in mind, and these were soon taken over as the fledgling company grew. When in 1995 he decided Papakura presented better scope for growth, he bought up neighbouring properties, as well as the original site, to create a 10 hectare facility. The rustic brick, low-profile office building belies the sophisticated operation running 24/7 behind the scenes. When Independent first started, it was with the best equipment Michael could afford. As the company has advanced, so too has the equipment, which is now at the cutting edge of technology. As Independent surged ahead that foresight proved its worth. In 2000, Independent spent $4 million on its new brew house, to bring its beer brewing operation from the West Auckland site in Henderson together with the rest of the company’s production. From Germany, it was designed and supplied by Anton Steinecker and became the Boundary Road brewery. This was just the start. Demand was going to soon outpace production; warehouse and packaging space was at a premium. When the Griffins building next door was taken over, it was extended to provide that new space and extended again. In 2005, $11 million was spent on the new packaging hall, taking it to 15,000 square metres and another $9 million on the Krones bottle and can line. Also in 2005, an $8 million wine cellar was installed, with the vats airlifted in by helicopter. The latest addition to the plant is a top-of-the-range Krones keg line, installed in December 2011 and in full production producing kegs supplying the retail tap beer market. This expansion, challenging the incumbent duopoly, is building on the solid foundations already in place and strengthening the brewery’s place in the market. Independent’s is a smart, sophisticated plant, impressive on entry with the millions of bottles and cans moving along the production line, through the logistics chain, to the retail customer with startling rapidity. That speed from product inception to end user is one of this company’s success factors. On 4 November 2005, Independent Liquor founder Michael Erceg and his good friend, Dutch brewing executive Guus Klaate, set off on a trip to Queenstown. Michael, who wanted his friend to see the beauty of Central Otago from the air, was piloting his helicopter. They were to link with other pilots who knew the terrain and would fly them on scenic flights. According to Michael’s wife Lynne: "They were like two schoolboys wagging school for the day." They went off the radar near Raglan, in the Waikato. An intensive search by friends, family, colleagues and search and rescue, finally ended on 19 November 2005 when the wreckage of the helicopter was spotted in dense bush in a gully near the small beach town. The two men did not survive the crash. Lynne, knowing the job of running the company would be immense, followed Michael’s wishes and put it up for sale. In 2007, Independent Liquor was sold to Flavoured Beverages Limited, a joint venture company formed by Pacific Equity Partners Pty Limited (PEP), Unitas, Lynne Erceg and the management of Independent Liquor (NZ) Limited. After four years of private equity ownership, the Japanese brewer Asahi Group Holdings Ltd completed its purchase of Independent Liquor Group in September 2011. Independent Liquor continues to blend the innovation, speed to market and determination to succeed of the Erceg years, with new systems and approaches from the corporate world to position itself for rapid growth in the ever-competitive New Zealand liquor industry. This is the story of an independent thinker who tackled the establishment simply to see if he could, and of his company which transformed New Zealand’s liquor industry. All content © 2017 Independent Liquor (NZ) Ltd, an Asahi Beverages company.